By the time seasons 3 and 4 of Friends rolled around, it was a full-on cultural phenomenon. Everybody knew the names of the 6 characters on the show; everybody had their favorite. 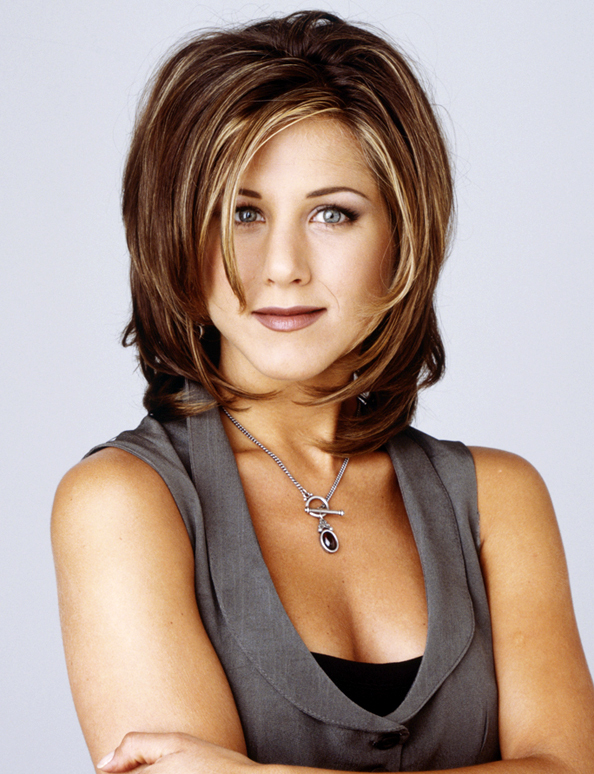 The “Rachel” cut was the most popular hair style among women, and people began to mimick the catchphrases of the characters from the show. 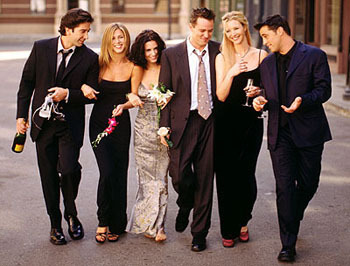 At this point, Rachel, Monica, Phoebe, Joey, Chandler, and Ross had become a part of our lives. And the show was still rolling, able to produce consistently funny episodes along the way, while starting to veer off into the ridiculous, but only a little bit to start with. Joey meets the possible girl of his dreams, and actress in a play he is working on. Monica dates Pete the Millionaire. Chandler falls for Joey’s girlfriend. Phoebe becomes the surrogate mother for her brother’s triplets. (One of the more annoying and insane stories ever to be on Friends, but it was a way to mask that Lisa Kudrow was really pregnant during filming of this season). Monica gets a head chef job. Ross meets Emily, and their whirlwind relationship ends with them getting engaged. The season ends with Ross’ wedding to Emily, which includes Rachel deciding at the last minute that she still loves Ross and has to tell him. She never does, but on the altar, Ross says Rachel’s name instead of Emily’s, setting up the major plot line for Season 5. The stories in these season of Friends become more serialized, which worked in truly making it Must-See-TV. Nobody wanted to miss an episode, because the plots ran together for several episodes at a time. 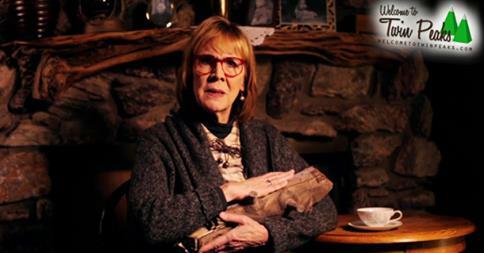 It got viewers hooked, but it also lead to us having to endure some of the crazier stories. Either way, during season 3 and 4, Friends was rolling along. 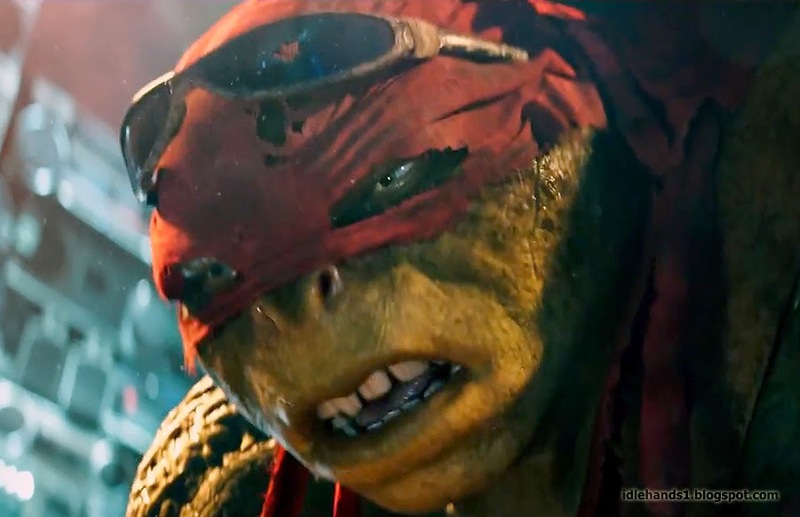 It was still quite funny, and the characters had only begun their development into complete caricatures of themselves. This would get worse as the show wore on, but at the time, everybody was enjoying the ride. During the first four years, there are so many truly memorable episodes, that it is really worth going back over them again, to watch them in order. 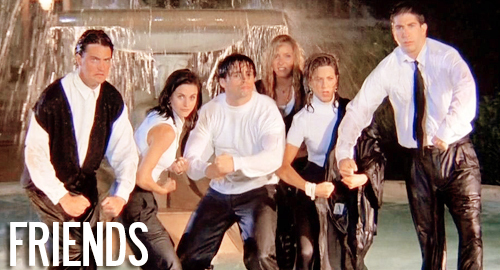 One annoying thing about Friends on Netflix though…the theme song. 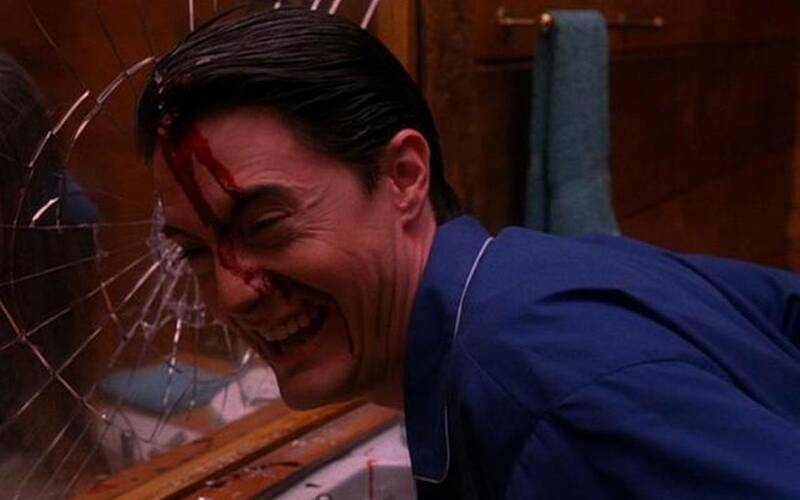 Since the show always had a lead-in prior to the opening credits, you have to manually fast forward through the theme song so that it doesn’t completely ruin your life. There may be little point in writing anything about Friends, one of the most popular network sitcoms of all time. 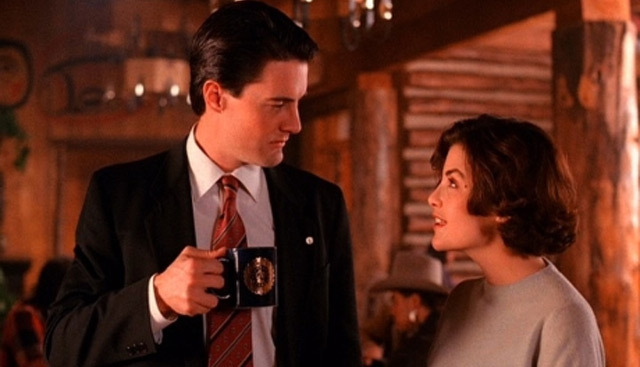 But with its recent release of the full 10 seasons on Netflix, it warrants another viewing, and a few notes on the early years of the show we are so familiar with. Going back and re-watching the early episodes of such a classic show offers a few points that may have been forgotten as the show dragged on towards its conclusion, essentially becoming a drama with the occasional giggle thrown in. Seasons one and two of Friends offers some definitely hilarious moments, and some excellent episodes. The show could change from goofy and fun, and was always able to drop in the right amount of seriousness to keep viewers endlessly entertained. There is little doubt that during its initial run, the will-they-or-won’t-they relationship of Ross and Rachel was one of the best on television. Binge watching on Netflix takes some of that away, as there is no waiting to see what is going to happen next between the two of them. I recall waiting in agony to see what would happen after Rachel goes to meet Ross at the airport, or what would happen with Julie, or how they would react to their first kiss, or the fallout from The List. The writers of the show did a good job in managing to wait about a season and a half before getting the two central characters together. In a current era where we can guess from the pilot episode which characters are going to hook up (think of New Girl, or The Mindy Project), Friends really did keep us on the edge of our seats waiting for the inevitable love connection between the two. It is nice that a new generation is able to watch the show. For those who missed the initial run on TV, they can now see the whole thing, and “get it” whenever someone who is now in their 30s or 40s makes a reference to an episode, or to a character. 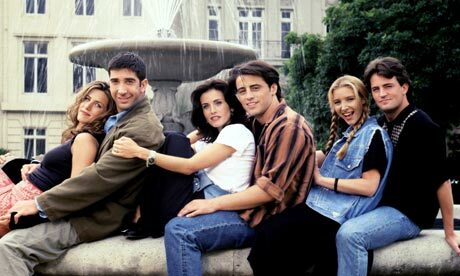 This is a major advantage of Netflix, and it has ensured that Friends will remain a part of our popular culture for a long time to come. 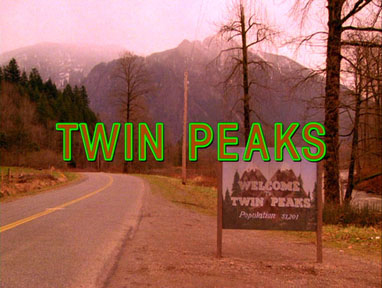 As for the episodes themselves, the first couple of seasons offer up some of the best single episodes that the entire series had to offer. There are some classics, including when Joey and Chandler get their chairs, and refuse to leave their newly found comfort for any reason. Or when Chandler gets Eddie as his new roommate. Or the one where nobody is ready, and Joey brought the term “going commando” into the popular lexicon. There is the museum date between Ross and Rachel, or the flashback episode to Rachel and Monica’s prom. There is something comforting about watching these episodes again, because they are so familiar. We know the six characters of the show, because we grew up with them on Thursday nights. It is kind of nice knowing that they are always there now, with a quick scroll through your Netflix list, and that you can bang out a few episodes here and there, whenever you feel like it. The first two seasons of Friends offers us the best view of the characters, as well, before they essentially became caricatures of themselves as the series plowed along. Sure, Joey is still a little dumb at the beginning, but it was a new joke, and was still funny before his complete buffoonery in the later seasons. And Phoebe is always weird, and kind of the most annoying of all of them, but there is something endearing about her at the beginning, before the convoluted story lines of her family start creeping into the show too much. They were all such distinct and new characters, and looking back at seasons one and two, we see so much of the gang in the sitcoms that have followed, with too many other shows trying to capture some of the magic that made Friends such a massive success. 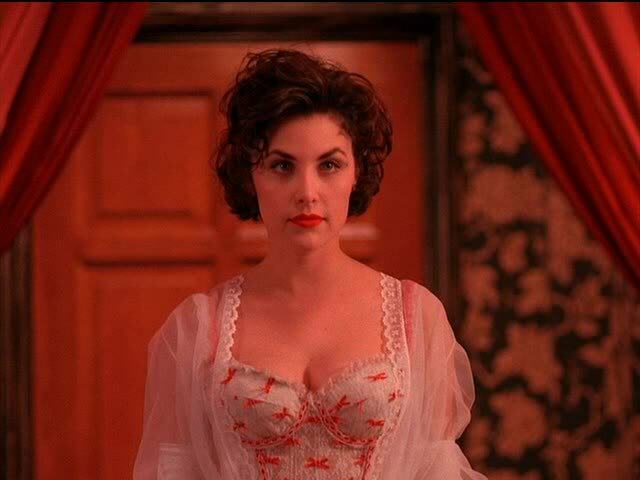 I remember the debates on who the funniest character was, or the Rachel vs. Monica debate taking over from the ages old question of who was hotter, Betty or Veronica. How every person in the world, seemingly, knew the theme song inside and out, and how it quickly became impossible to watch the intro to the show without clapping at the appropriate moment. How Rachel’s haircut became a phenomenon, perhaps one of the most copied hair styles of all time. Everybody from the 90s knows what a “Rachel” cut is, and probably knew at least one friend in their real lives who tried to rock it. 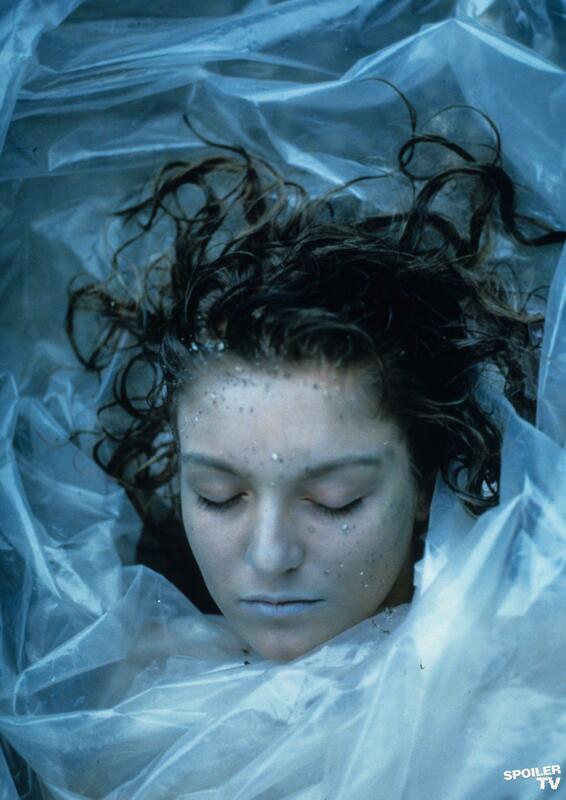 This show launched the careers of the actors into super stardom, even if it never really lasted for any of them. Now, Friends offers some great 90s nostalgia, and that is never a bad thing. For original fans of the show, it is nice to go back to Central Perk, and remember the episodes with shocking clarity. For those who have never seen it before, it is a must-see, since along with Seinfeld, Friends created a massive pop cultural hit that helped to define the 90s for millions of people.